The time is fast coming when all those attempts to “catch’ em all” in Pokémon Go lands someone in litigation, a Washington, D.C.-based labor and employment attorney said during a recent interview. “Any day now!” Karla Grossenbacher, a partner in Seyfarth Shaw’s D.C. office and chair of the Labor and Employment Practice Group, said during a Legal Newsline interview. While there’s no Shaymin Poképuns, the kind of legal trouble expected from this game is something no one would ash for, especially employers. The possibilities are too Chansey for employers to not ask how to address Pokémon Go, particularly in the workplace, Grossenbacher said. “I think the answer to this question depends on the employer’s workforce,” she said. “If the employees are not caught up in the Pokémon Go craze, or at least not playing it at work, I don’t see a need for the employer to formally address it. Pokémon Go is a free-to-play reality mobile app that can be downloaded onto an iOS or Android-based cell phone. 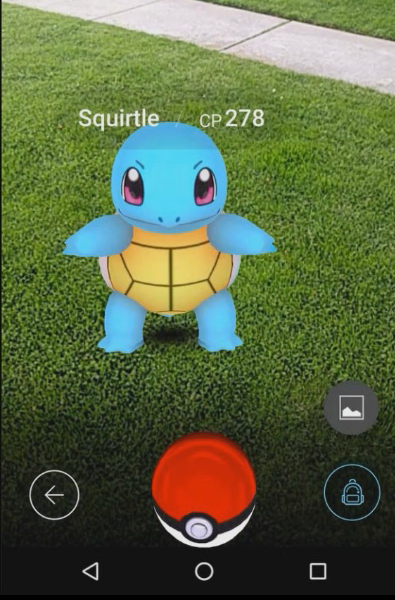 Players use their phone’s GPS for locations, then capture and even train game characters. Pokémon Go downloads have broken broken Apple download records and stories abound of players wandering far and wide or a pikachu. Those stories also include tales of injury and even death. Obviously employers should be concerned about employees playing the game while on the clock and if they could Fraxur the workplace by finding Cubone in a neighboring cubicle. However, concerns can extend to other workplace areas and equipment, including company-issued cell phones, Grossenbacher said. “Due to the potential information security risks with the app, employers should either forbid use of the app, and similar apps or websites that pose such risks, on company phones or personal devices used for work purposes,” Grossenbacher said. Pokémon Go in an office setting may not add many new details to a company’s policies but could, in a few ways, resemble a company’s smoking policy, Grossenbacher said. “In terms of playing the game at work, like any other game, presumably the employer would restrict the ability to play to non-work time,” she said. However, Grossenbacher pointed out the risks of Pokémon Go in the workplace or on work-issued phones speak more generally to the need for comprehensive policies in the workplace regarding the use of technology in the workplace. “Pokémon Go is not the first or last app to raise information security and safety risks for employers,” Grossenbacher said.